Hey friends! 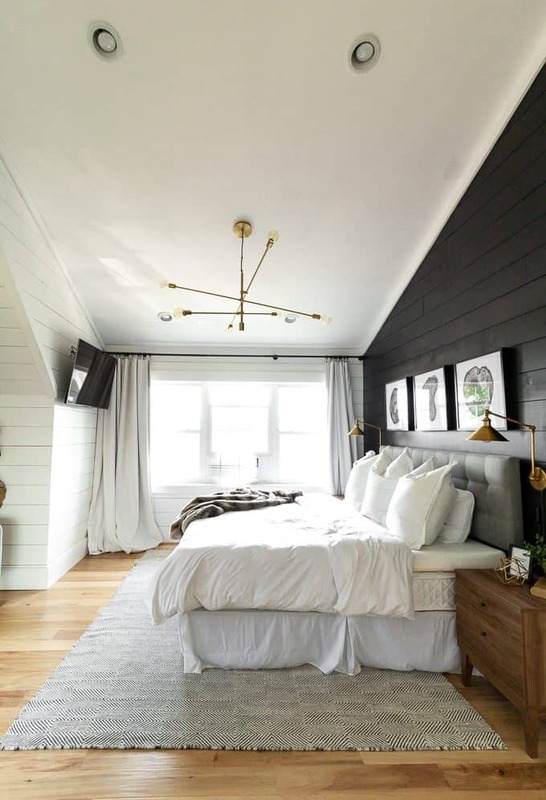 Today I’m super super pumped to be sharing my friends gorgeous black and white modern master bedroom! If you’ve been around for long, you know about my friend Heather’s house, the “House Up North“. Over the last few years I’ve shared her home tour, her kids room, and her gorgeous master bathroom. Today I get to share the beautiful room connected to that bathroom! Amazing right?! The best part is that this space is a third floor addition on their already beautiful home. They had a contractor frame in the addition, and then Heather and her husband did EVERYTHING else. Not only are they super saavy and handy, but Heather is also an amazing designer. She picked every detail, every finish, and it turned out amazing. 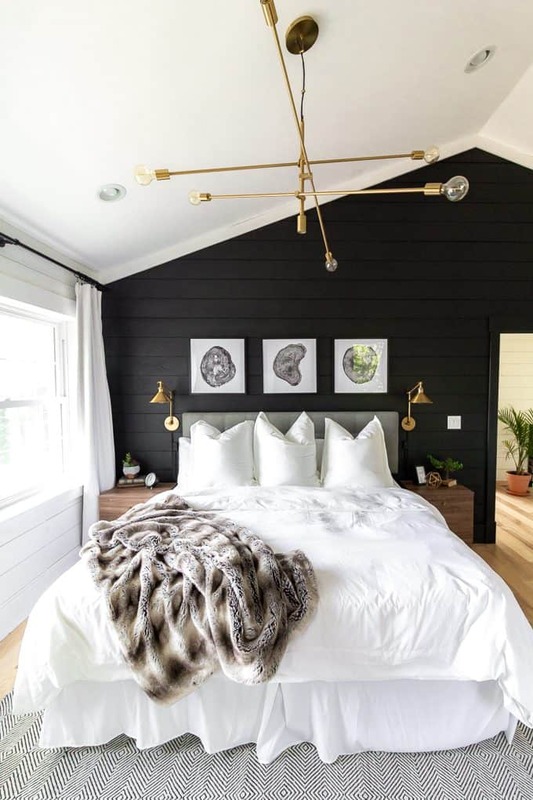 They clad the walls and ceiling with shiplap, and to give the one wall a bold statement she painted it with this deep black color. 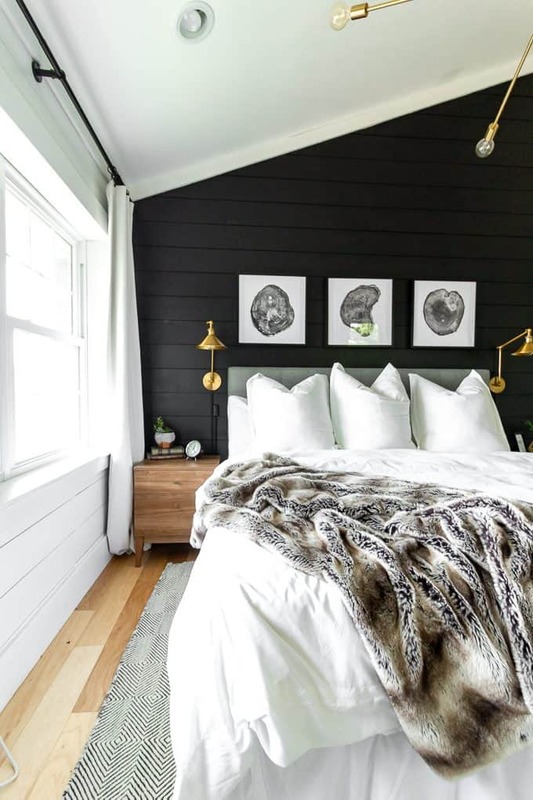 The white matted art, white bedding, and brass accents all really stand out against the deep dramatic black backdrop. Because the third floor is an addition, last summer when we were visiting it had just been completed and Heather and her husband hadn’t moved their master bedroom up here yet. This meant that we got to stay in this luxurious suite for the week! Our unfinished basement guest room doesn’t even come close to these guest accommodations! 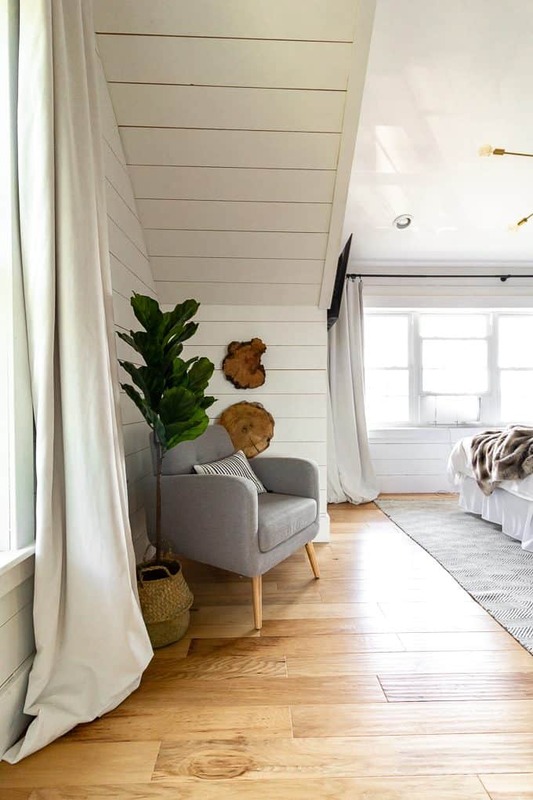 Heather hung these log slices on the wall that mimic the art above the bed and they’re my favorite. I love how they’re natural and sculptural. This angle shows how beautifully the bathroom connects with this gorgeous bathroom. 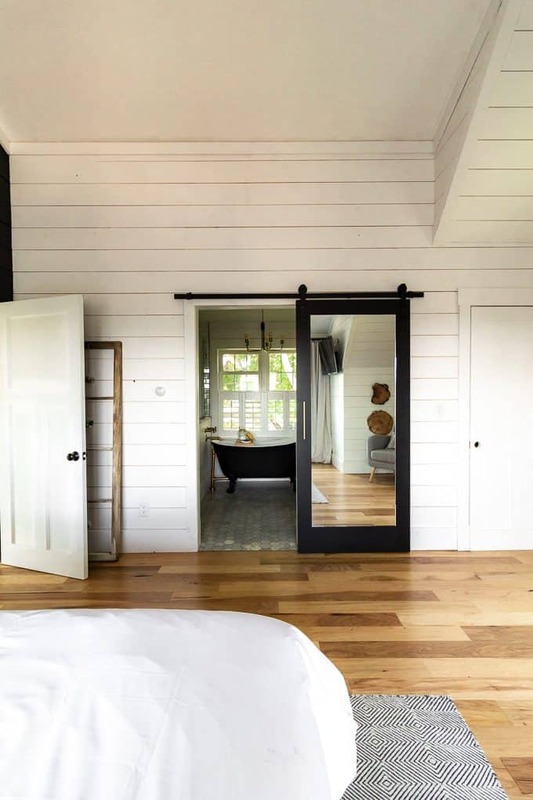 I love how she used the barn door as a backdrop for a full body mirror. Honestly if this was my own home there isn’t one thing I’d change about this space. 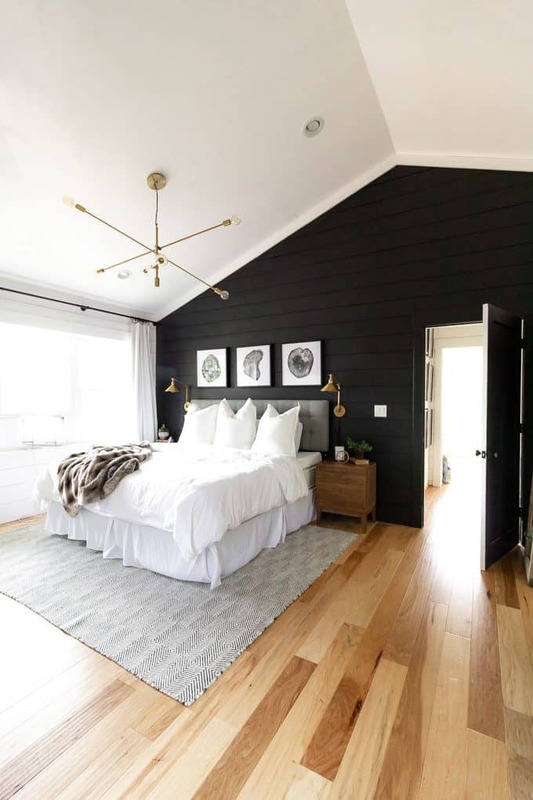 I absolutely love the flooring, the black and white, the layout, EVERYTHING! 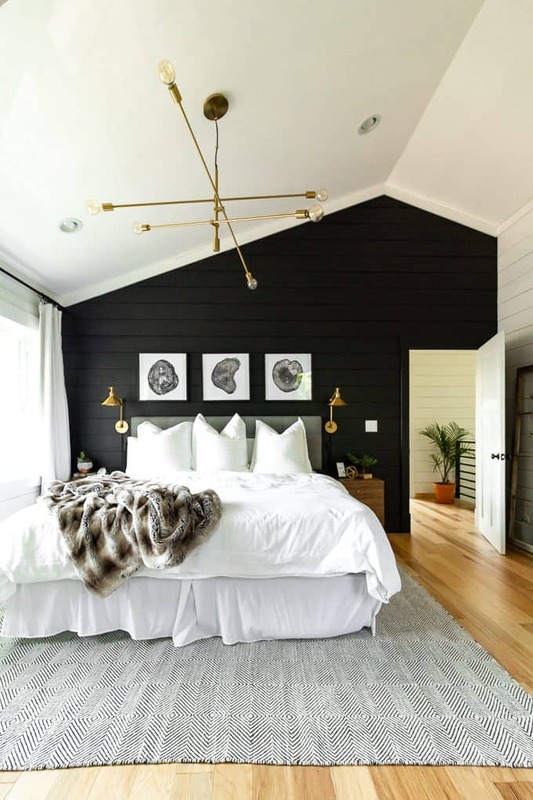 If you’d like sources for many of the items in this room, I’m including shoppable images links below. I know that adding on an entire third floor isn’t a reality for everyone, but I still hope that this space will inspire you. 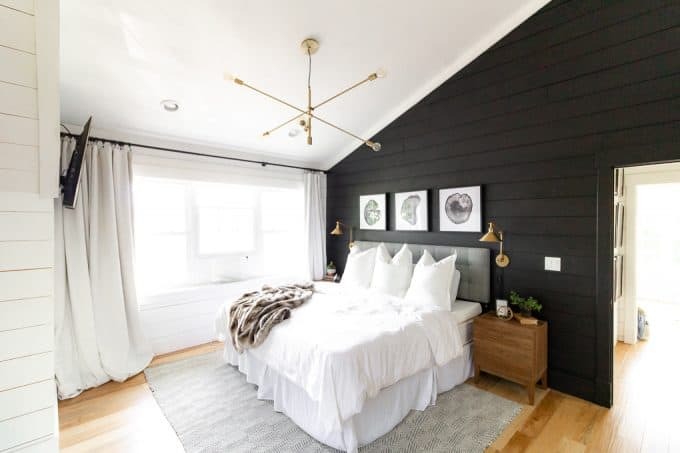 Maybe to paint a bedroom wall black? Or to add some dramatic black and white art? Or maybe to swap out your light fixture for a modern brass one? 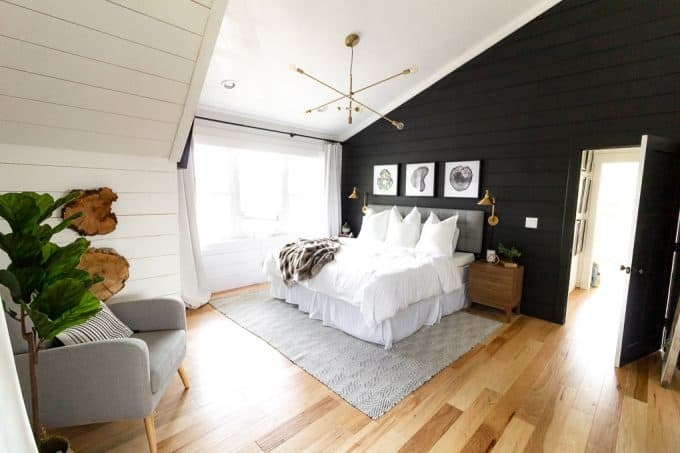 Either way I hope that you love this room as much as I do! Finally, I’d love if you’d go and Follow Heather’s Instagram! 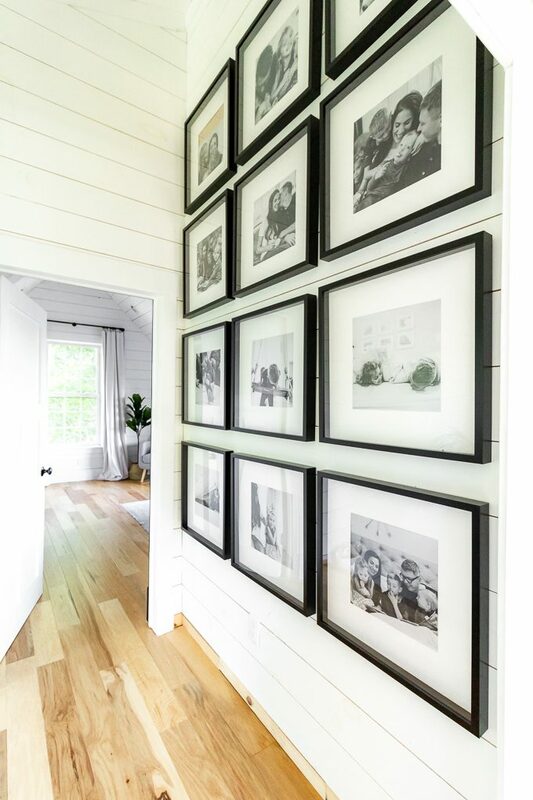 She just started her account and she’ll be sharing more images from her gorgeous home there! It’s so pretty! Bright and beautiful. Thanks Jessica! I just had to share this amazing space! 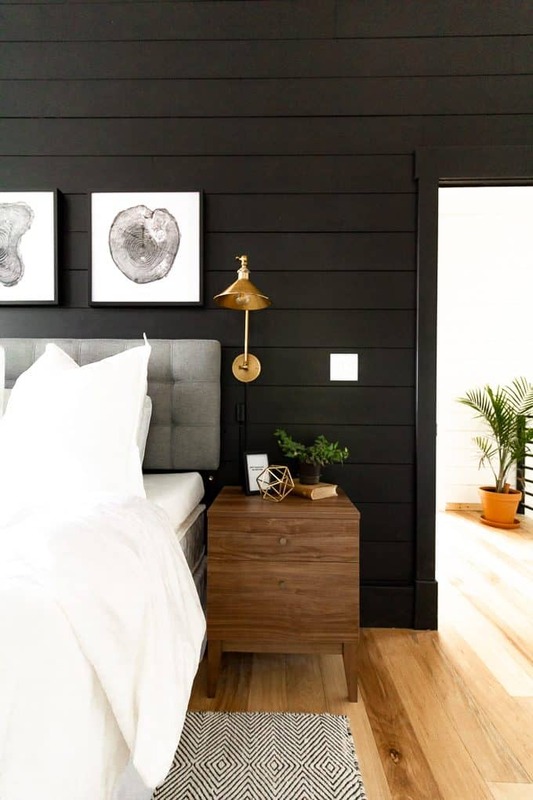 Love the contrast between bold, dark wall and lighter tones in the rest of the room. The whole space seems so bright and airy and the subtle, jungalow nuances make it even more beautiful. 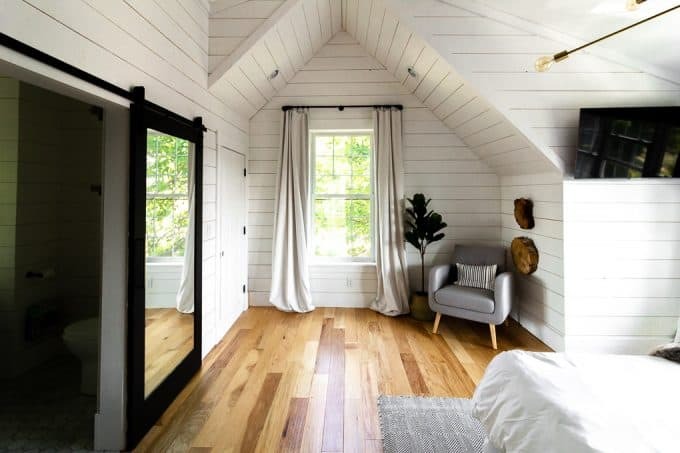 I would never want to leave this bedroom if given a chance to step in it at least once because I’m head over hills for every corner of it.